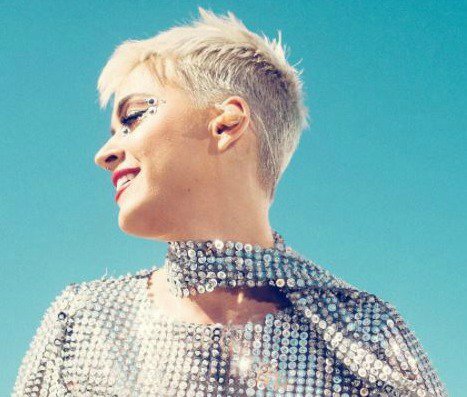 Katy Perry's new album debuted at number one in America! Katy Perry is celebrating after securing her third number one album on the Billboard 200. The singer's latest offering, 'Witness', which was released on June 9, debuted at the top spot ahead of Kendrick Lamar's 'Damn'. The offering follows in the footsteps of 2010's 'Teenage Dream' and 2013's 'Prism', which both went to number one. It's good news for Katy whose album launch was nearly ruined by her nemeses Taylor Swift making a big announcement. Taylor revealed that she would be making her entire music catalog available on all streaming services - the same day Katy's album dropped! Many accused Taylor of trying to steal Katy's thunder, which could result in poor sales for the 'Chained to the Rhythm' star. But Katy, who released a diss track last month in response to Taylor's 'Bad Blood' single, is having the last laugh. 'Witness' sold the equivalent of 180,000 units in its first week of release - slightly down from previous projections of 200,000. And there's more good news for Katy. She just became the first person to reach 100-million followers on Twitter! Jacaranda FM brings you more music you love including the very best music from South Africa and around world. Once a week we show case this music in the Chamberlain's Top 20 and the SA Top 20.